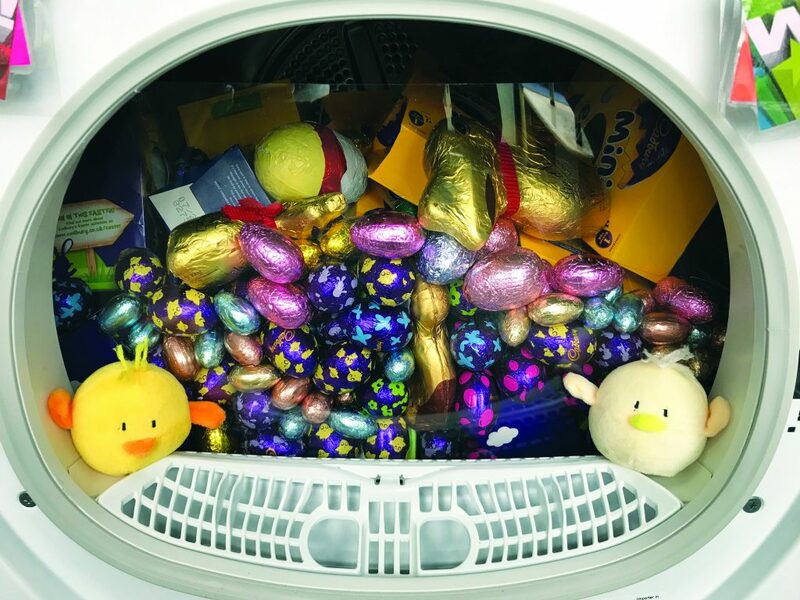 YOU could be winning a brand-new tumble-dryer for just the price of an Easter egg, thanks to a charity event being run by RSM Domestic Appliances in Knaphill. 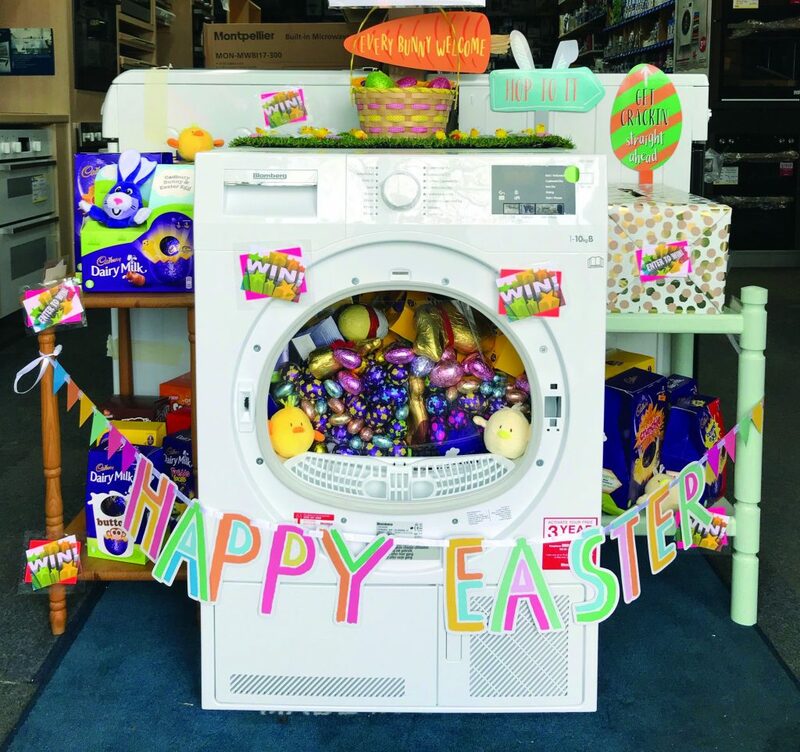 Donate an Easter egg at their store in the High Street, and that’s your chocolate entry to guess how many eggs are packed into the drum of the gleaming Blomberg appliance. “Someone is going to win it and whoever that is are going to be over the moon. It’s just been named best tumble-dryer by Which,” said RSM managing director Steve Haydon. The competition was hit upon by the firm as a way to boost donations to Eagle Radio’s Egg Appeal, which helps give local, less fortunate children a happier Easter, collecting chocolate eggs to share around to more than 50 local charities and organisations, including Woking and Sam Beare Hospices, Your Sanctuary and Woking Community Mental Health Recovery Service. If no one guesses the exact number, then nearest the total will win. If several people have the same winning guess, their names will go into a hat and the winner then chosen with a blind draw. The competition will run until Friday 26 April. All eggs donated at RSM by 14 April will be dropped off to the Eagle Radio appeal. Any entries after that will be taken to St Peter’s Hospital for distribution there. For more details, visit their website at rsmdomesticapplainces.com.